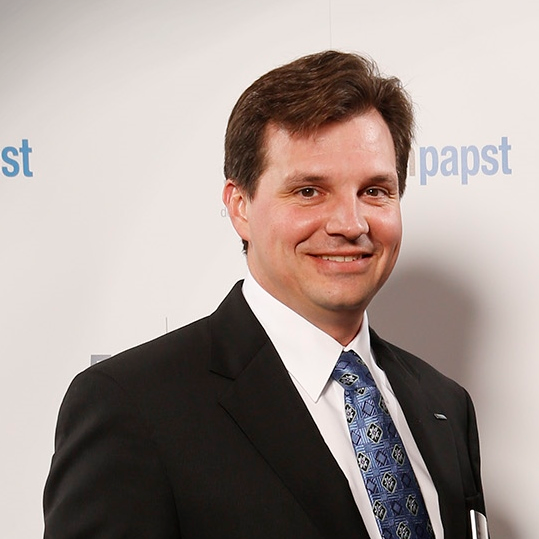 Mark Hill is the Managing Director of the Automotive and Industrial Drive Business Unit of North America for ebmpapst Inc. His office is located within Dearborn, MI. while North American headquarters is operated out of Farmington, Connecticut. Mark is a graduate of Lawrence Technological University where he received a BS in Mechanical Engineering System Design. Mark began his automotive career at a very young age working at his parents salvage yard located within Southeast Michigan. Growing up in a salvage yard came with some very interesting benefits and life experiences which would in today’s environment be turned into a reality TV show. After college Mark spent the first part of his professional career working for Ford Motor Company / Visteon Corporation as a Climate Control Engineer under a variety of hats which includes: Fluid Transport Engineer, Development Engineer and finally as a Sr. System Engineer for the Hybrid Vehicles. Mark was then recruited by Daimler Chrysler to join their newly formed Hybrid Vehicle Group team as the lead Climate Systems Engineer and then migrated over to the Lead Powertrain Cooling Engineering position. During the tenure at Chrysler Mark and his team filed and was awarded a patent for “Efficient AC System Using Dew Point Temperature”. Mark then accepted the Managing Director position at ebmpapst and has had the responsibility for the Automotive and Industrial Drive Business Unit for the last eight years.